Taxes extra. Not Valid On Delivery. Morristown Store Only. Cluck-U Chicken in Morristown NJ 973-749-1418 Coupons may not be combined with any other offer. Coupon void if altered. Expires 05/08/2019. Taxes extra. Not Valid On Delivery. Morristown Store Only. Cluck U in Morristown 973-749-1418 Coupons may not be combined with any other offer. Coupon void if altered. Expires 05/08/2019. Not Valid On Delivery. Morristown Store Only.Cluck U Morristown NJ 973-749-1418 Coupons may not be combined with any other offer. Coupon void if altered. Expires 05/08/2019. Cluck-U Chicken in Morristown NJ prepares creative & tasty chicken recipes, producing a menu that is unique & diverse offerings to satisfy a wide range of tastes. For healthy, delicious alternative to traditional fast food, you can choose from a variety of chicken sandwiches, wraps, salads, and much more. 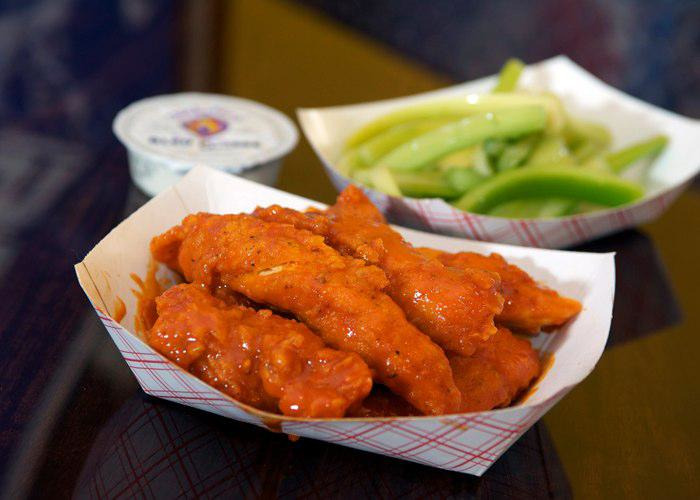 For something wild, different and delicious, Cluck-U offers their famous Wingers, Buffalo style chicken wings available in 5 different sauces (Mild, Atomic, Nuclear, Thermo-Nuclear and 911) and other specialty sauces such as Honey Hickory, Teriyaki, Gold Mustard, Cajun and Traditional. Print out our Cluck-U Chicken coupons today for some great tasting dishes that come in a variety of flavors. Appetizers: Empanandas Beef/Chicken; Fresh Breaded Mushrooms; Onion Rings; Mozzarella Sticks; Jalapeno Poppers; Sweet Potato Tots; Nachos, Cluckwiches: Chicken - Original (Crispy); BBQ (Grilled); Parmesan (Crispy); Roman (Crispy); Buffalo Bleu (Crispy); Red Roman (Crispy); Philadelphia (Grilled). Burgers - Classic Burger; BBQ Burger. Fish. Fried Chicken; , Buffalo Wings; Boneless Buffalo Wings; , Wing Sauce Flavors: Teriyaki; Honey Hickory; Mild BBQ; Traditional; Cajun BBQ; Atomic BBQ; Caribean Jerk; Sweet Chili; Garlic Cheese; Cluckster's Hot; Nuclear BBQ; Traditional Death; Thermo Nuclear BBQ; 911 (must sign waiver). Breast Bites; Mini Bites;, Sides: Clucker Spuds; Clucker Bees; Mac & Cheese; Mashed Potatoes (w/Gravy); Cole Slaw; Creamed Spinach; Brown Rice & Beans; Side Salad; Sweet Corn; Baked Potato, Barbecue Ribs, Clucker Spuds. Whole Wheat Wraps: Caesar Chicken; Honey Dijon Chicken; Buffalo Chicken, Romaine Salads: Small Side Salad; Garden Salad; Buffalo Chicken Salad; Caesar Salad, Apple Roasted Chicken, Jumbo Crispy Shrimp, Clucker Rice Bowl. Value Packs, Family Packs, Desserts, Beverages , Sauces.